Yesterday was International Women's Day, and this year it was intended to be "A Day Without Women". Women were supposed to skip work, not spend money unless it was at women-owned businesses, have a social media blackout, and wear red in solidarity with other women. I began the day at the Santa Monica Farmer's Market, and was disappointed to see hardly anyone in red. Myself and one elderly woman were in red, and actually hugged, because we got the memo. Solidarity. After a perfect outdoor lunch with women on a glorious day, I headed over to Abbot Kinney, where my wonderful friend Nana Ghana was hosting a celebration of women at Principessa. LA Woman Rising is Nana Ghana's documentary film about 50 diverse women waking up in Los Angeles. It was the perfect project to showcase on a day that is all about Women, and the trailer was running on a loop in the back of the O. G. Venice clothing store. 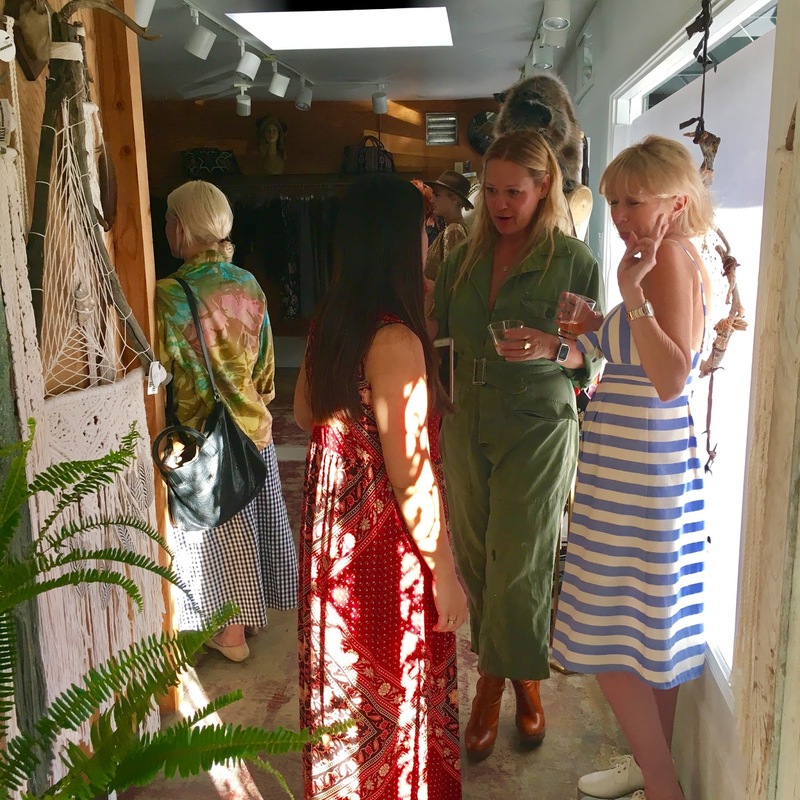 In the front of the store, cocktails were flowing courtesy of Dulce Vida Tequila - and we know how L.A. Women like their margaritas. 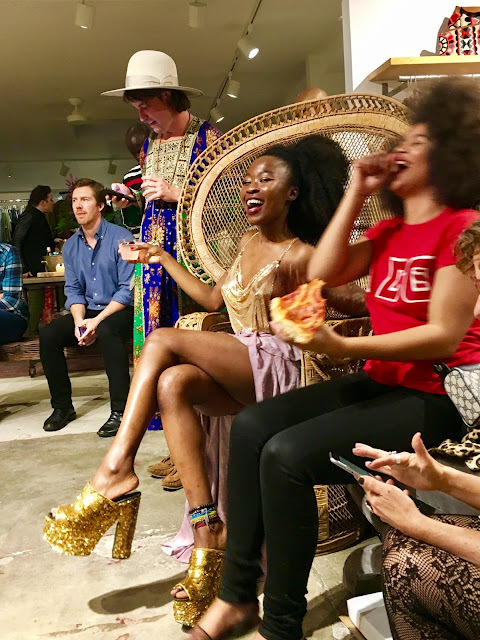 The good vibes were flowing the moment you walked in the door, with a crowd as diverse as the women in the film. Rightly so, because many of the women present were IN the film, and in attendance to speak on a panel about the film. But first. 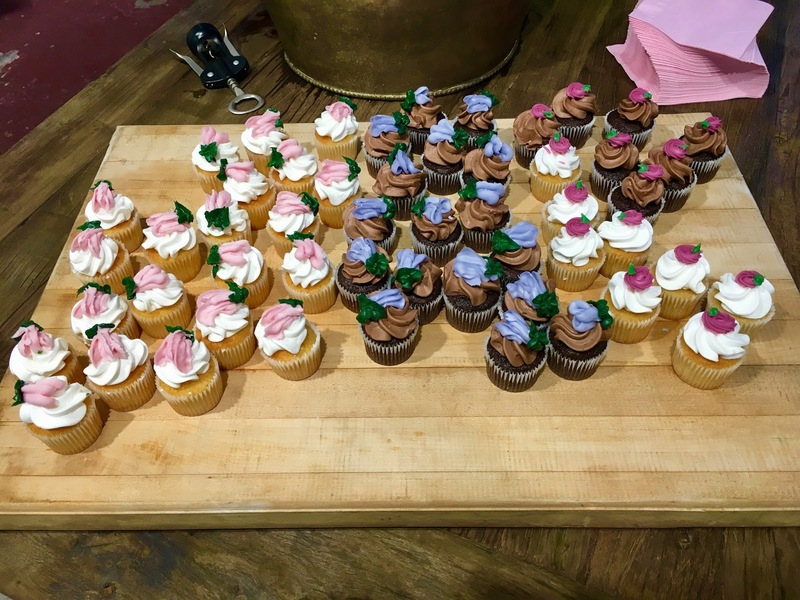 there were cupcakes. 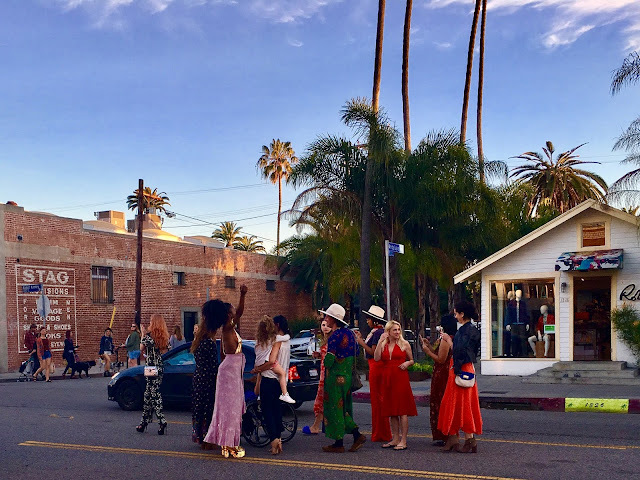 The sun was casting a golden glow over the whole thing, and Nana thought we should show the town what we were all about ... by marching down the turn lane in the center of Abbot Kinney. 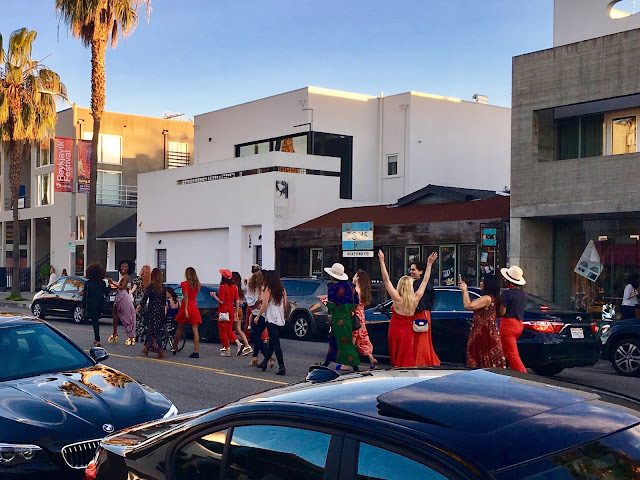 Rush hour traffic (which has gotten pretty much ridiculous on Abbot Kinney) was in full effect as our tribe of L.A. Women took to the street to march in a strong show of solidarity with women the world over. Cars honked and people waved, some stopping to take their own pictures of the incredibly beautiful parade sauntering down the middle of the street. 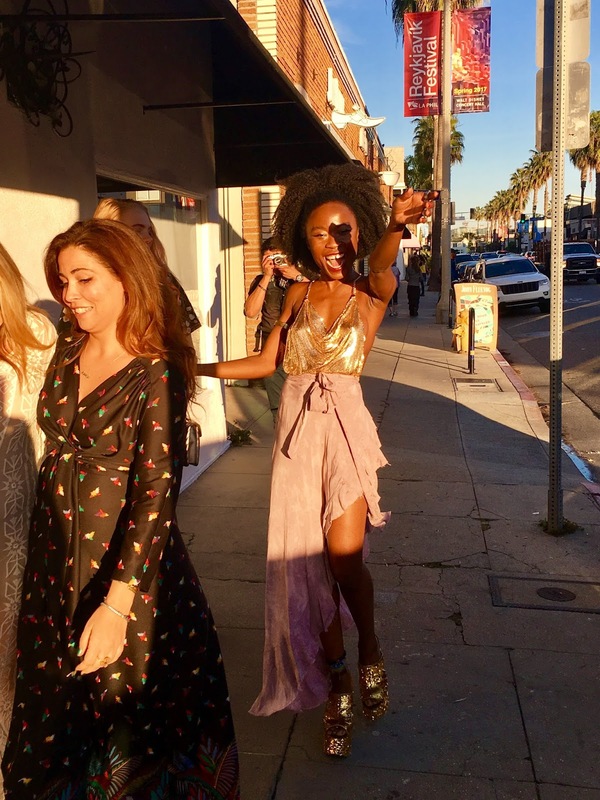 It was one of those wonderful Venice moments that take people by surprise with the sheer fun of it. It was especially special to be sharing it with such iconic and multi-faceted women as the ones walking beside me. Once back inside Principessa, Nana had everyone take a moment to breathe it all in, saying, "Take a moment to feel Mother Earth, feel our breath as one with all the other women in the world right now." It felt extra meaningful. She spoke about how truly powerful and limitless we all are, with each others' support. That when one woman wins, we all win. These are real facts. 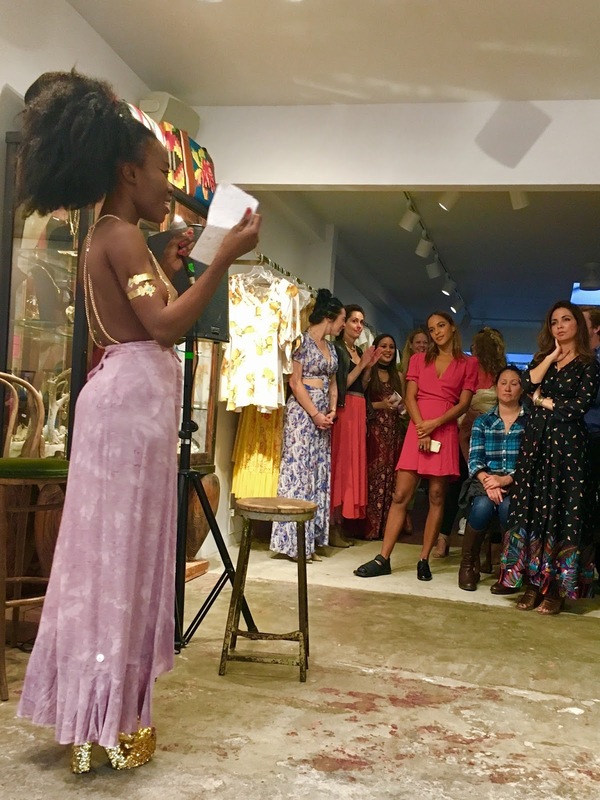 Nana introduced her friend, the poet Yazmin Monet Watkins, who performed works of such depth and awareness, tears were brought to my eyes - and I wasn't alone. She read words of gratitude and love, saying she was "Grateful for my single mother upbringing". Me too. 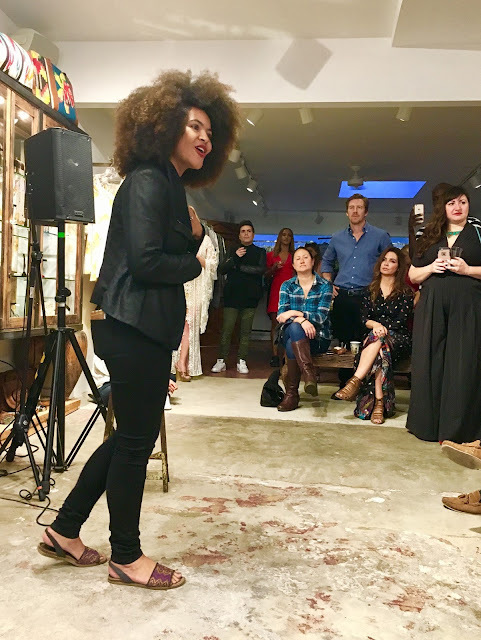 She read a poem called "Questions For The White Women I Marched Next To", asking "Will you be here tomorrow? Please stay." We will. She read one for her Grandma Lily, asking, "Grandma, how did you deal with the ignorance?" Yes, HOW?! Watkins finished with one that was called "Note To Self", reminding that each woman is brilliant, that Sisterhood lights our path, and that "This life is worth living. ROAR!" Yes. ROAR!!! 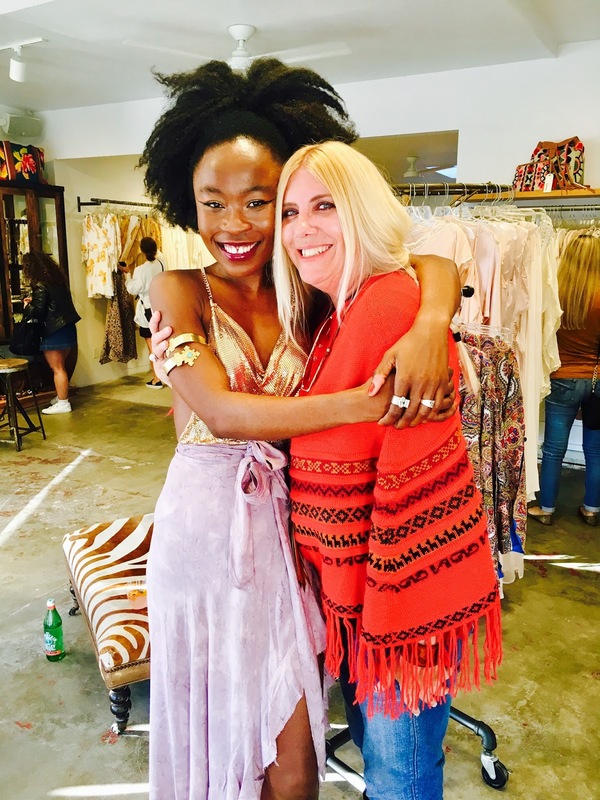 The LA Woman Rising panel was moderated by another friend of Nana's, Vic Styles, who asked the ladies assembled what made them an L.A. Woman. 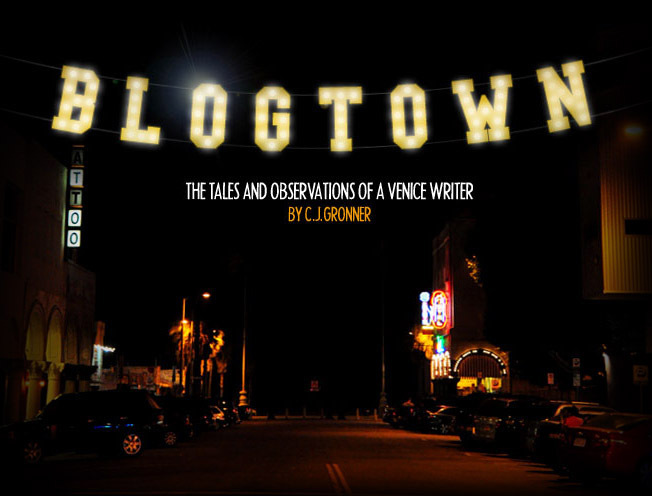 There are so many parts to Los Angeles, just like there are so many parts to women, so it's a good analogy. L.A./Women can be nice, and it can be mean. It/We are all so different, but somehow we get along, and create culture here. 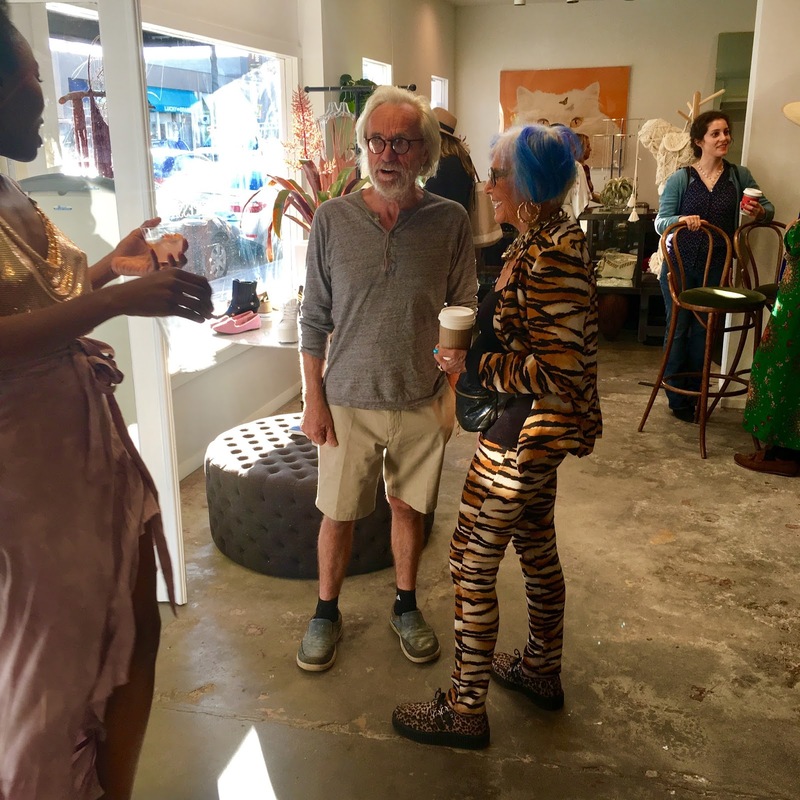 It was discussed how L.A. is known for both its diversity and its entertainment industry, but that the two don't often reflect each other. It was asked if they considered themselves Feminists. I've always had a hard time with special days like "Women's Day" or whatever, because I've never felt less than as a Woman. I think people are all created equal, and should be treated as such. Always have. It's only with the recent and awful new Administration in office that I've felt the need to stand up and speak out more than usual on the behalf of Women everywhere. But really, it's on the behalf of People everywhere, as we're all in this together, and that's just that. One member of the panel cracked everyone up by saying, "Go to a Rave!" The walls come down, and everyone is there just to have a good time! Everyone could learn from that. What a wonderful, inspiring afternoon celebrating and discussing women in today's world together! THANK YOU so much to everyone involved! I walked out of there feeling stronger, wiser, and more united with women than ever. 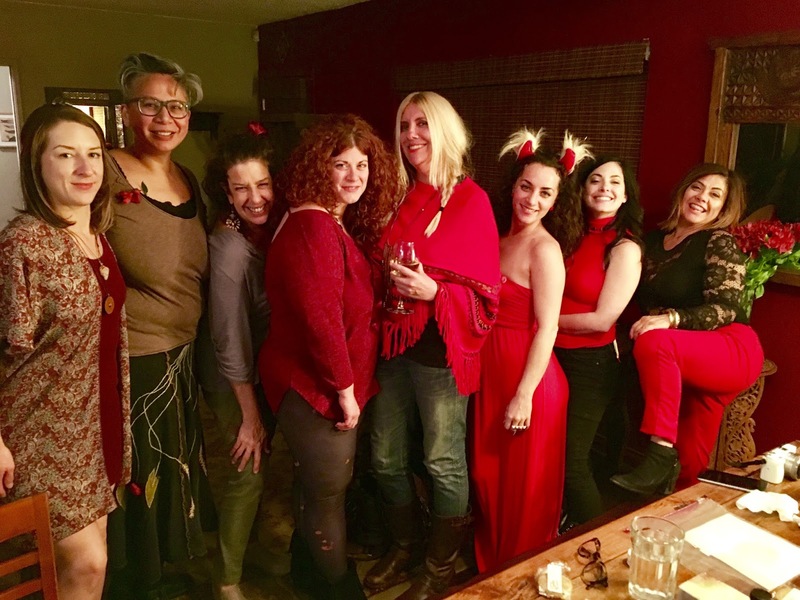 The unity continued when I found my ladies in red gathered for the evening portion of our Venice Women's Day at my dear friend, Sailene's pad. 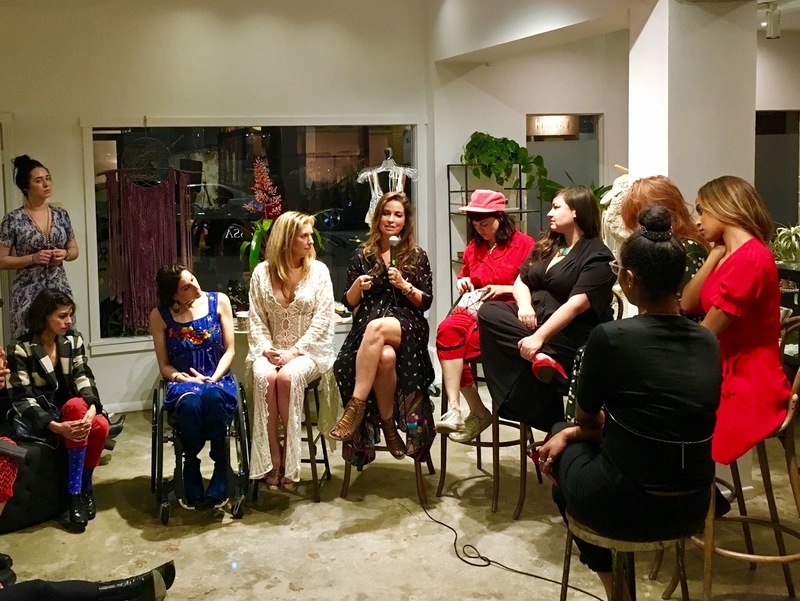 All of these strong and wonderful women were decked out in red, as we got a preview of things to come with Sailene's Privée Social Club (Stay tuned)!